Her first position in the wine industry was in the Central Valley with Gibson Wine Co., where she spent five years as an assistant winemaker and chemist. 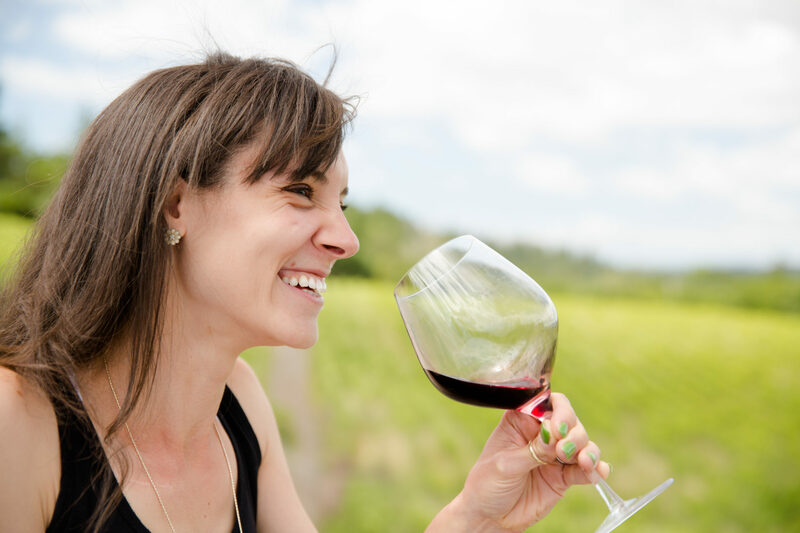 Subsequently she had one-year stints at United Vintners, at Asti in Sonoma County as a product development enologist, working to improve the quality of its fruit wines and doing laboratory work, and then at Sonoma Vineyards, where she continued to hone her skills. In 1973 she became the winemaker at Simi Winery in Healdsburg, shifting her winemaking skills to fine varietals. The noted consultant Andre Tchelistcheff served as her mentor there. Six years later, Graf left Simi and with Marty Bannister co-founded Vinquiry, a highly successful business that specialized in providing analytical and consulting services for the winemaking industry. Marty and Graf had decided there was a need for an independent wine-testing laboratory in Sonoma County. They founded Vinquiry in a doctor’s former office in downtown Healdsburg. At the start, the only two pieces of “high-tech” equipment they had were a spectrophotometer and a microscope. Despite those modest beginnings, within five years Vinquiry’s success forced them to find a new and larger home in Healdsburg. More growth caused another move to Windsor, where Vinquiry/Enartis remains today. They later established three satellite laboratories in addition to the Windsor location. Graf retired from Vinquiry in 2003, after some 40 years working with clients in California and around the U.S. Her father was a vocational agriculture teacher in Williams, CA. She loved the mechanical things he taught but could not participate in at school in those days and developed a love of science. In going to college at the University of California, Davis, she knew she wanted a “hands on” role related to some part of agriculture that provided a stable source of income. She initially declared Food Science as her major, took the elective courses in Viticulture and Enology, and was intrigued by the process of winemaking. Her mother “ . . . always tried to instill in us the idea that we were individuals and that we should develop our own individuality,” a philosophy that served Graf well, because she frequently was the only female in classes required for her major in Enology (Fermentation Sciences), when she earned her degree in 1965.